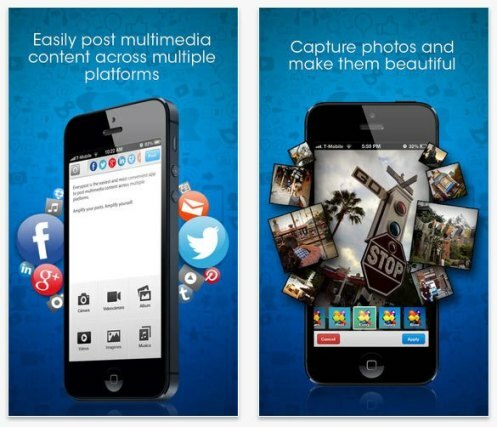 Everypost is an application for smartphones (Android-iPad/iPhone) developed by two Argentines, that lets you capture, publish and store multimedia content simultaneously on the major social networks. With Everypost can simultaneously publish content to Facebook, Twitter, Google+, Pinterest, LinkedIn, Tumblr and your contact address book. Quickly and easily. You do not have to stick to write in 140 characters on Twitter, because with the way “text shortener for Twitter” all will be well in this social network.